This year we are going to support CAFOD as a parish project along with seeking certification for the LIVE SIMPLY AWARD which is given to parishes who are becoming a community which ‘lives simply, sustainably and in solidarity with the poor and the whole of creation'. We already do so much - think of all we do individually & how we as a parish help the homeless of Bristol etc - but this is about 'ecological conversion', where we pray for our world, given us by God to take care of, that is under great threat, and where we become able to change the way we live for the better. Bella Harding will be giving a brief talk in Mass on the weekend of 26/27th January about how important this is & what wonderful ideas there are for truly making a difference & living in a happier & more fulfilling way. We will also be having monthly get-togethers to meet others & share ideas/plan what we can all do in our community to live more simply. Come along to the Parish Hall from 5-6pm on Fri 1st Feb (then next dates for your diary are Fri 1st March, 29th March, 26th April, 31st May (6-7pm that evening) & 28th June.) Today we are offering you pledge forms which have ideas of how to live more creatively & sustainably which you can fill in & register (anonymously) in a book in the parish. Let's lead the way in the Diocese & get the award! 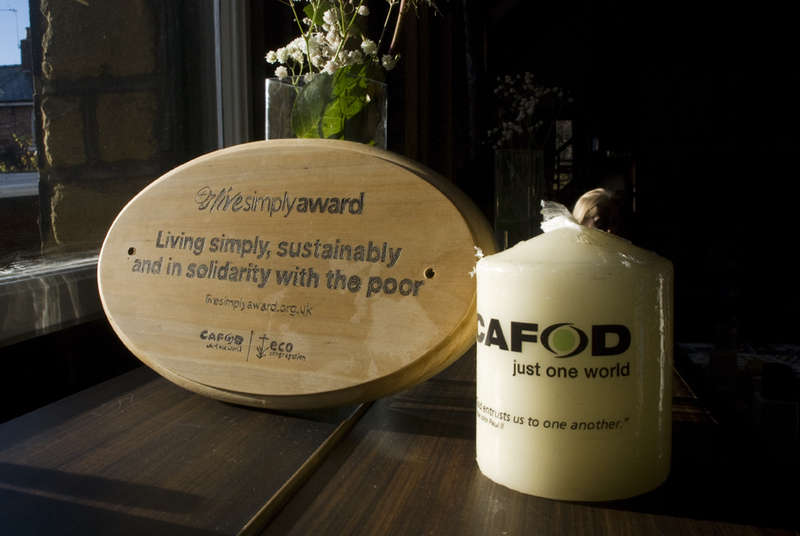 Firstly, thank you to Father Frank for allowing me to talk today about a project for the parish, the CAFOD Live Simply project. The readings today are so full of joy and hope: the people told to rejoice and not to be sad when they are read the law and realise they must change. And in the Gospel Jesus proclaims the Lord's year of favour. And in the second reading we have the second part of the theme we are all part of one body and responsible for one another. First let's rejoice in our wonderful world and the miracle of life, our own and all people, and all life. The astronauts who went into space saw our beautiful blue and green planet, hanging in the vast immensity of space and for all we know the only one like it. And they were transfixed by its fragility and beauty. so let's thank God for the beauty of his creation. However all is not well. We are behaving like badly brought up adolescents, leaving our dirty clothes and plates and cups allover the house, spilling and staining everything. Why? Because there is a plastic island three times the size of France in the ocean and much more, strangling and poisoning sea and wildlife. We have on average only 40% left of the wildlife of fifty years ago due to intensive farming and pollution. The last 18 have been the hottest summers ever, with intense heat, natural disasters and the exponentially increasing melting of the ice caps. The International Climate Change Panel says we have 12 years, and probably less, to take action to prevent irreversible and uncontrollable climate change, when our beautiful planet will no longer be safe to live in. And we have no other. People say, how do we know it is caused by us? But the evidence it is happening is so clear we must anyway do all we can. As Christians we are concerned for the poor and they are the first to suffer, they are suffering now. People also say we can make no difference. But we already have. By banning CFCs the hole in the ozone layer is mending. By charging for plastic bags, their use dropped by 80%. By changing to long life bulbs domestic energy use dropped by 19% from 2000, although we have so many more appliances. If we used LED lights we would use 80% less. The Millennium Development Goals spurred major reductions in poverty. So we can make a difference, and press companies and governments to make a difference, even if the issues are incredibly complex. The Pope has said no action is too small, and every time we spend money we are voting powerfully for the future we want to see. He asks us to undergo and ecological conversion which does not mean going back to the stone age, but living joyfully, simply and sustainably in our beautiful world. I know so many of us already do so much, but the need if urgent. So what can we do? Firstly, pray. Many Christians pray and fast for the climate every first of the month. Whatever small fast or self denial helps us to be serious about our prayer and God listens. Secondly, together we can gather ideas on how we can live better as a parish and in our communities. For that we need to meet and share. 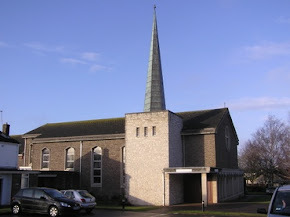 I invite you to monthly meetings, on Fridays on or near the 1st of the month, between 5-6 in the parish centre. The first it this Friday. To help us think of ideas I will be at the back of church with pledge forms where you can choose what else you would like and are able to do. Bring them to the meeting where you can inspire the rest of us, and have an anonymous register of all we are pledging to do. Let's be a beacon in the Diocese, for a new and joyful way of living, to live simply, sustainably and in solidarity with the poor, and become a live simply parish.